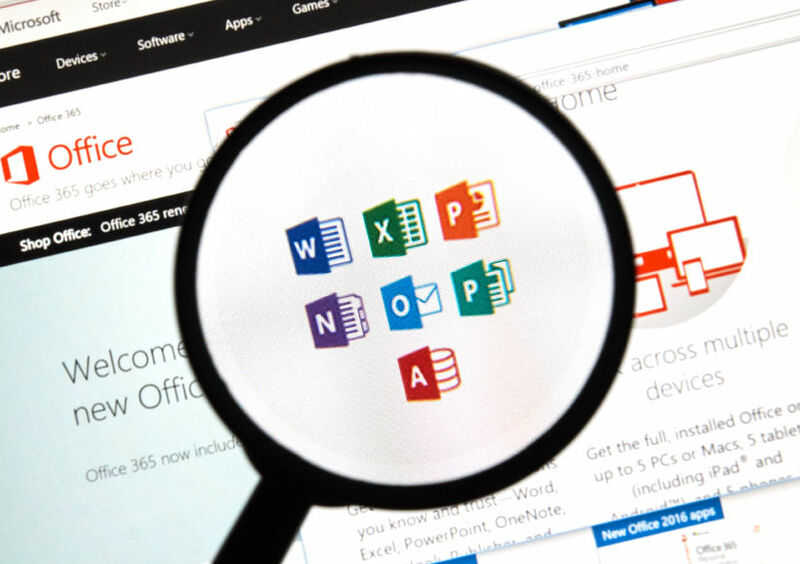 Office 365 files from excel to word have been designed to be viewed and edited with any device. As such, starting a piece of work on your office desktop can be easily completed on your laptop on the train. You can review the work on your tablet over coffee, and you can make changes as you do. Office 365 gives you true mobile working and flexibility. Office 365 handles and administers your files using OneDrive. This provides a hefty 1TB of storage, and it keeps all your files organised in one place. As it is cloud based, when you update a contact on your mobile phone it will automatically update it in Outlook. The same can be said of email and calendar appointments too. It not only stores all your files and allows for easy retrieval, it keeps you organised as well. Office 365 is a monthly cost which makes it far more affordable than licensing. Prior to 365 the cost of the old incarnation of Microsoft Office was pushed out of reach. The fixed costs makes budgeting easier and this in itself brings peace of mind. One of the great things about Office 365 is that it has the full functionality of Office 2016. For new businesses, the lack of outlay is a welcome boost. One aspect of 365 which may surprise you, is that you have 50 GB of email space storage. We tend not to delete our emails and mailboxes can soon become cluttered. There will be plenty of time before you need to think about clearing out your inbox, freeing up your time to be productive. In the early days anything cloud based came with increased security risks. Office 365 has solved this issue by allowing you to wipe data remotely from lost devices. Say for example you lose your phone, you can push a button and delete the 365 files from it. Also, as the data is stored in the cloud, you are protecting it should your hard drive fail on your PC or laptop. Not only will it still be intact, you can access it from another device and continue working. To get started with Office 365 simply call 0121 667 8977 or email info@beanit.co.uk. We can explain the finer details to you, and help you with initial setup. Using 365 will feel noticeably freer. You will also be able to showcase work to clients that would have posed challenges before you started using Office 365. Get in touch today. How Cryptolocker and Other Viruses Can Ruin your Business Get Agile. Get Clients. Get VoIP!